Is outsourcing public services incompatible with open policymaking? Rare sighting of a G4S security guard at the Olympics. Copyright: Press Association. The G4S Olympics fiasco is only the latest example of what is now unavoidable – the conflict between two Government agendas, one for open public services and the other for open policymaking. Which of these two agendas wins out will decide the future of public services, perhaps irreversibly. Over the past few months on this blog we’ve put forward the argument that policy should be made openly and wherever possible collaboratively with the people who are directly affected by it – in social policy this means the frontline providers of services and the people who use these services. As part of its recent civil service reform plan, the Government has committed itself to ‘open policymaking’, whereby policy “should be developed through the widest possible engagement with external experts and those who will have the task of delivering it.” However significant – and we think it should be supported – in reality the open policy agenda is likely to mean little as a result of another Government programme, that for ‘open public services’. Open public services is about opening-up the provision of more public services to any ‘qualified provider’. Outsourcing is then a critical part of the open public services agenda. In his speech in July 2011 at the launch of the Open Public Services White Paper, David Cameron set out a commitment to challenge the ‘presumption’ that the state should deliver services rather than the voluntary or private sector. Although outsourcing certainly did not begin under this government, we are now witnessing a massive expansion of the role of the private and voluntary sector across a range of services – from prisons, community health services, hospitals, probation services, policing to schools. According to the Economist contracts worth at least £80 billion are currently outsourced to private providers by national and local government, with this number expected to rise to around £140 billion by 2015. To its proponents, outsourcing is a way to reduce costs, improve efficiency and increase innovation. 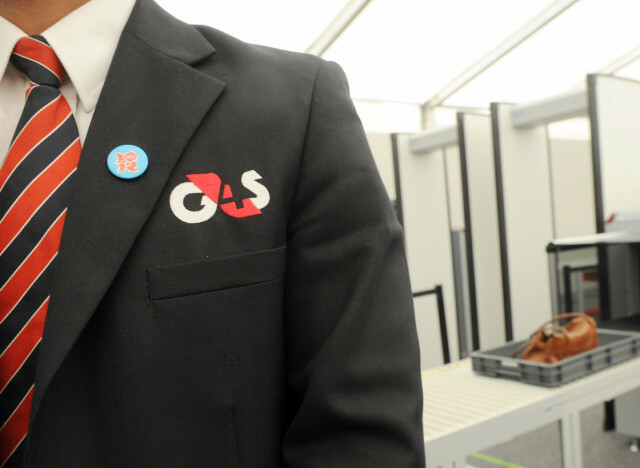 Fiascos like G4S’s hiring practices aside, the public debate has not reflected the scale of the change that is currently taking place. More than this, outsourcing is now threatening to undermine the very publicness of public policy. The current ‘closed-door’ approach to outsourcing, whereby details of the services including its performance and impact are hidden behind the cloak of contractual obligations and commercial sensitivities, undermines the openness of policy in public services. It reduces the ability of the general public to hold policy to account. It erodes transparency, ownership, control, accountability and impacts the responsiveness of services to the users and communities they are meant to serve. As a consequence, this approach to outsourcing also makes for poor policy. Transparency and openness are critical to ensure that policy is tested and evaluated robustly. Put simply, if policy is not held to account then it does not improve. At Guerilla Policy, we’ve been considering how open policymaking could improve public services. We’ve argued that social policy would be better if it was opened up to wider participation by those who use and provide public services. Scrutiny isn’t sufficient – but even effective scrutiny is now being undermined by outsourcing. This issue – how our public services are commissioned, by whom and from whom, and how this relates to open policy and public accountability – will be a continuing focus on this blog, alongside our developing manifesto through which we hope to describe an alternative approach. At stake in this conflict between open public services and open policy is whether we continue to have ‘public services’ at all in any genuine sense, in the sense of publicly determined, publicly accountable, publicly responsible – if not necessarily always publicly provided – services for all. This is a series of posts in which we’ve invited people to give us their reactions to the New Think Tank project. This post: Alex Kenmure. Thanks to Alex for contributing the post, and we welcome your comments. I’m ashamed to say that I’ve only recently started voting. For 12 years I’ve been a part of that nebulous and condemned portion of the electorate who have (in the eyes of many) forsaken any right to have an opinion on how the country is run. It’s an unusually emotive issue – in some ways I’ve wondered whether people have had more of an opinion on my non-vote than they would have if had voted for the British National Party (note: I didn’t vote for the BNP btw). So, tired of the judgement, I made my way to the voting booth a few weeks ago to have a vote on who should be our local councillor. It turned out to be an oddly pleasant but also dispiriting act. I was taken aback about how low-tech it all was – volunteer with a clipboard, pencil, paper, makeshift booth all enclosed within a quaint village hall. I felt like I could have been voting in the 1950’s and quite enjoyed the quintessential British-ness of it all. And then it hit me. My vote, my say in how my local area is run, had been boiled down to a simple “X”. Was that it? What on earth could people read into that? It doesn’t say why I voted, if I have any reservations, my own thoughts on what could be changed in the area – in a simple act of participation I had actually disempowered myself and traded my own views for a validation of someone else’s policies. It would seem that at the end of the day, I am trading my research and opinions for a “best fit” generic model. My conclusion – voting, our single greatest tool in shaping the destiny of our communities, is enjoyable but rubbish. No wonder so many people don’t vote! Well, the challenge above is the main reason I like the idea of the new think tank project. I really like the concept that instead of a system that discards all the interesting stuff everyday individuals have to offer, a mechanism could be set up to capture the thoughts, solutions and challenges residing within all of us – the “lightning in a bottle”. As part of the branding workshop, it was interesting to hear the language we used to describe people: users, stakeholders, customers, frontline workers, policy wonks etc. I think we found it difficult just to use the word “people”, which to me is a little ironic given that the real “customer base” for this project is people plain and simple. There is a very cool opportunity here to create something that isn’t just about undermining a policy industry, but provides a genuinely refreshing alternative for people who have something to say to be able to contribute to a challenge and see how what they bring to the table makes a difference. I’m not sure how it is going to work out – one day I think it’ll be a massive success, the next I think it’ll be a terrible flop (! ), but as I watch it develop the one thing I would like to see is that it retains a sense of fun. Can it capture my unhealthy giddiness at voting, while at the same time being a million times more effective? Impactful, but a little bit cold doesn’t really cut it for me, nor would it for a lot of my friends I shouldn’t think. It doesn’t have to have the quaintness of a village hall, but it would be nice if something can be developed in such a way to make the act of participating feel as important and enjoyable as the result. Who knows… maybe one day someone might post about the first time they engaged with the new think tank model as an important moment in their life. Alex Kenmure from Camden Council has worked in policy and performance roles within local government for the past 6 years and is interested in developing new relationships, perceptions of value and outcomes-based delivery models between voluntary sector organisations and local authorities.